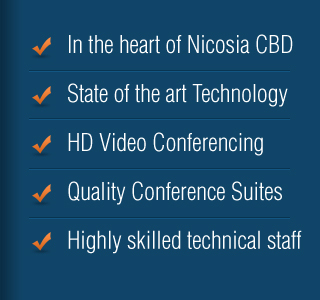 .....so that your Serviced Office is enhanced with commercial substance at a reasonable cost. 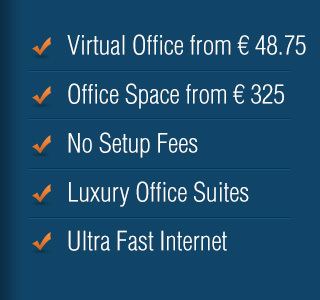 Our Virtual Office packages are the most reasonably priced in the market. Personalised Telephone Answering is included insuring that your incoming calls are answered and directed as you require. .....enhancing the Virtual Office experience at a reasonable cost. This is of particular benefit to clients that are not interested in leasing physical space but require some of the advantages a physical space has to offer. 1. Full Business Support Services…. Independent VLAN's for each business suite. High Speed Alcatel communications gateway encompassing a high speed switch, a router and a firewall. The gateway supports primary and secondary links to the Internet. .....to provide you with a robust sophisticated IT and Telecommunications Infrastructure to meet all of your IT requirements. At OfficeSpace, we have gone to great lengths to provide an infrastructure that meets almost all of the challenges that face a business today at an affordable price. There are no setup fees or complicated charging structures designed to hide additional fees. 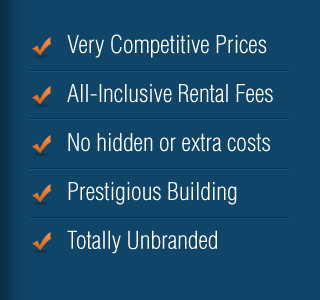 At OfficeSpace, we have a single very competitive, all-inclusive simple rental fee. If one of our packages does not exactly match your requirements we can provide a bespoke solution to suit almost any requirement. Our on-site highly skilled teamed in combination with our state of the art IT infrastructure and comprehensive list of services enables us to meet any of the IT requirements our clients may have. Our dedicated zero contention ratio high speed fibre link to the Internet with built in automatic redundancy hosted independent telecommunication companies provides our customers with one of the fastest and robust links to the Internet in Cyprus. Our system is flexible and additional bandwidth can be provided if required. The unbranded aspect of our Business Suites makes them ideal for international clients. 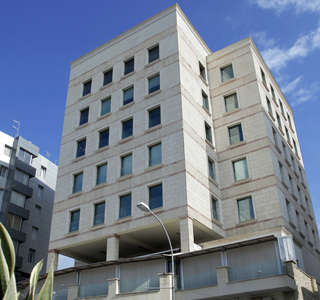 The floor space is split into independent Business Suites, Common Areas for Workstation Rental (“Hot-desking”), Meeting Rooms, and a state of the art Video-Conferencing Suite with the capacity to host calls with up to 16 independent participants. All suites have natural lighting and are available for short or long term rental.